Note: The Relion Group attorneys are not currently taking cases on this lawsuit. 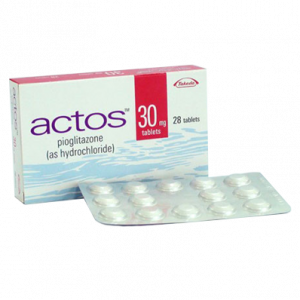 Actos (Pioglitazone) is part of the thiazolidinediones class of medications and is used in the treatment of Type 2 diabetes. It has been used with an exercise and diet program as well as in conjunction with other medications. Manufactured by Takeda Pharmaceuticals America, Inc., Actos has been on the market since the 1990’s. Actos is designed to increase how sensitive the body is to insulin, which is the main substance within the body that naturally regulates blood sugar levels. The drug is supposed to decrease the amount of glucose released by the liver so that the body isn’t as insulin resistant. Actos has been sold along with glimepiride and metformin or by itself. After Avandia, a similar drug in the thiazolidinediones class of diabetes drugs was pulled off the market; many patients began to use Actos for their Type 2 diabetes. Popular diabetes drug Actos has been linked to bladder cancer and heart failure, but the FDA hasn’t issued a recall. However, in light of the drug’s serious side effects, the FDA is closely monitoring ongoing postmarket studies.The higher the doses and longer the drug is taken, the greater the risk is. FDA recommends that healthcare professionals should not use pioglitazone in patients with active bladder cancer. Studies of Actos in France resulted in the drugs use being suspended, and studies in Germany have resulted in recommendations that new patients do not start using Actos because of the side effects.